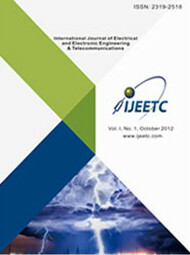 Option 1: Publication in IJEETC. Submissions will be peer reviewed by conference committees and IJEETC editorial board, and accepted papers will be published in the International Journal of Electrical and Electronic Engineering & Telecommunications, which will be indexed by Scopus, Google Scholar, Crossref, Citefactor. The template is available here. 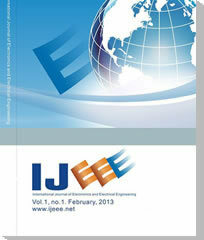 Option 2: Publication in IJEEE. Submissions will be reviewed by the conference committees and journal editorial board, and accepted papers will be published in International Journal of Electronics and Electrical Engineering, which will be indexed by Ulrich's Periodicals Directory, Google Scholar, Crossref, etc. The template is available here. Option 3: For those who're NOT looking to publish their papers, it's acceptable to submit your abstracts to the conference just for oral presentation without publication, which will be sent to at least two technical committees for a brief review, and it will take about 10 working days. The template is available here. Each paper should be with at least 4 pages. ICAEE encourages long paper submission. Thus, there is no upper limit for pages. 1) Abstracts/Full text papers (.pdf only) will be accepted via Microsoft submission system or email. 2) English is the official language of the conference; the paper should be written and presented only in English. Copyright © 2017-2019 IJEEE. All Rights Reserved.